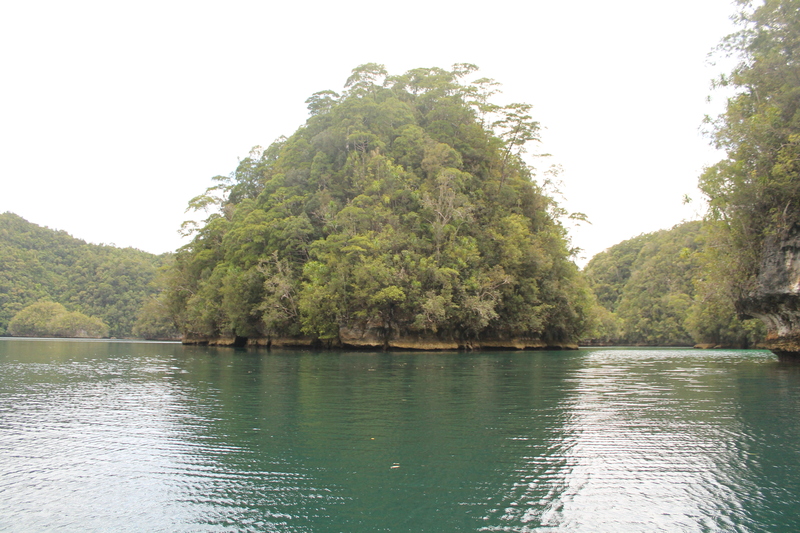 Sohoton is part of Bucas Grande Island. 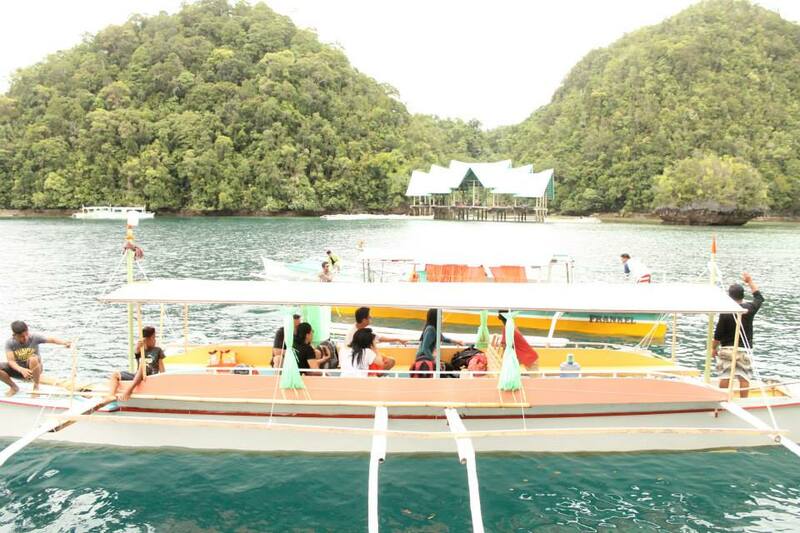 From Dapa, Siargao, we took a rented boat to Sohoton. 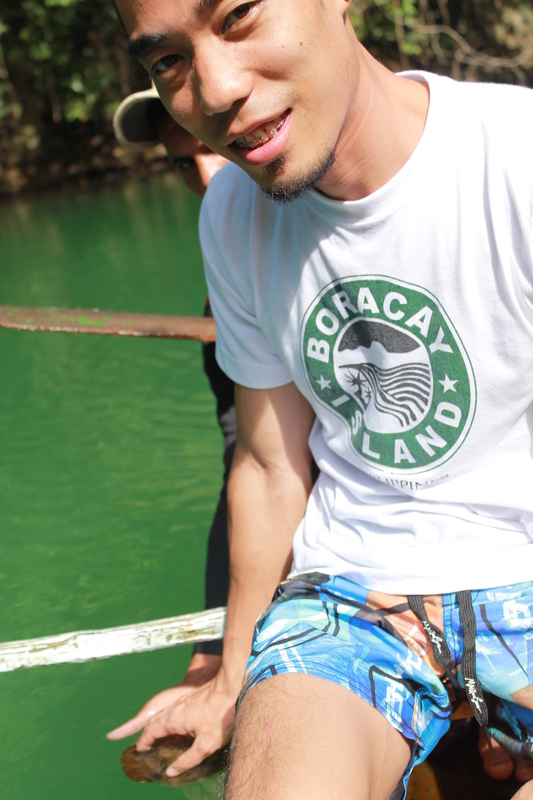 We contacted Francis Poro as our boatman. 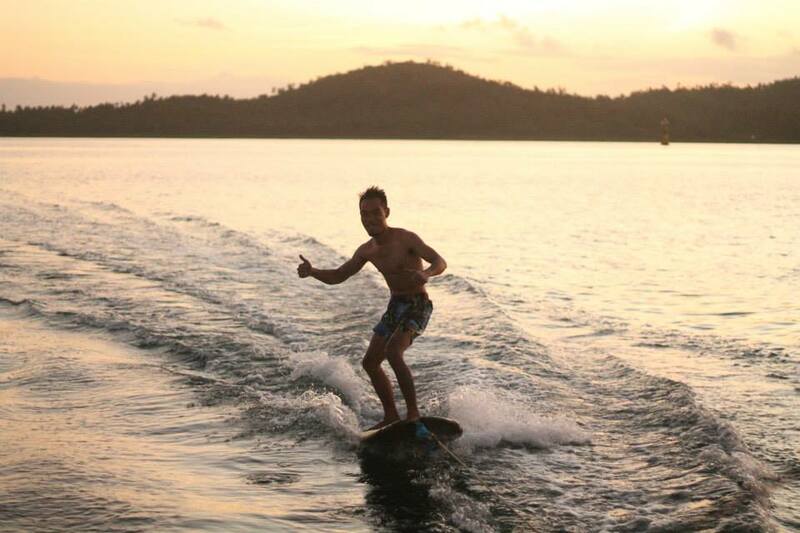 He is pretty good considering the fact that he was recommended by the tourism office in Siargao. 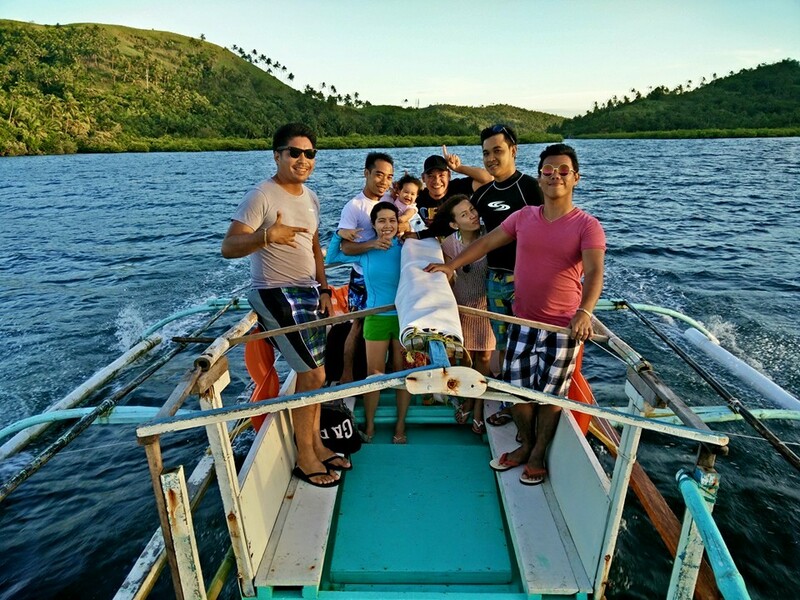 From 4500php, we were able to haggle the boat rental to 3,000php for 7 persons. 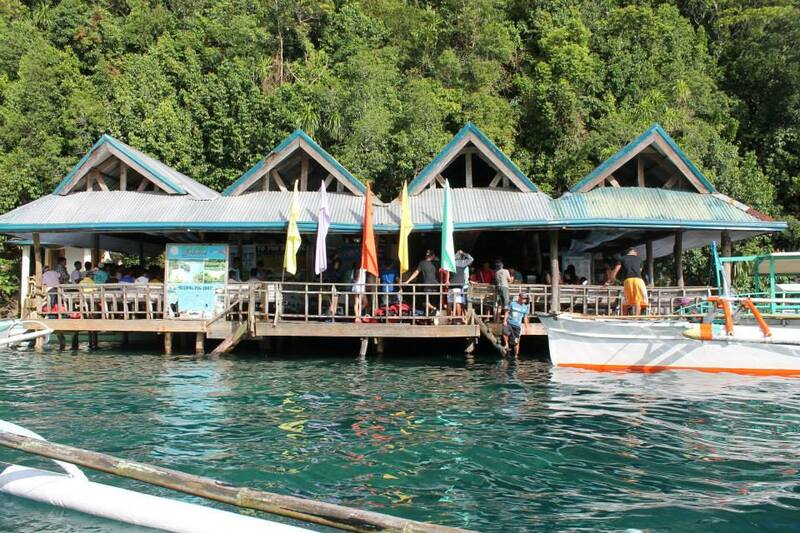 For those who come from Surigao, you may go to Claver and find boat rentals for Sohoton. 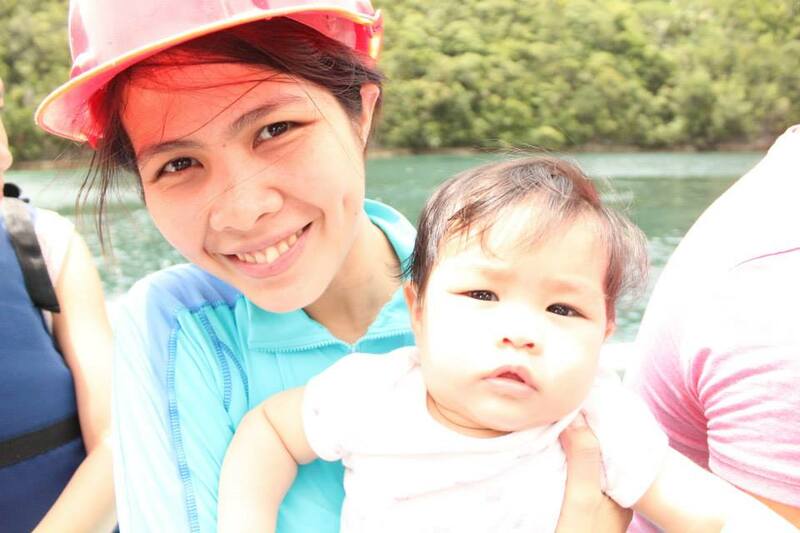 Despite the doubts we had on pushing with the trip, such as bad weather conditions and the objection from elders on bringing our little explorer, we didn’t budge. We pushed through. The view was simply magical as we enter the maze- like entrance to the cove. 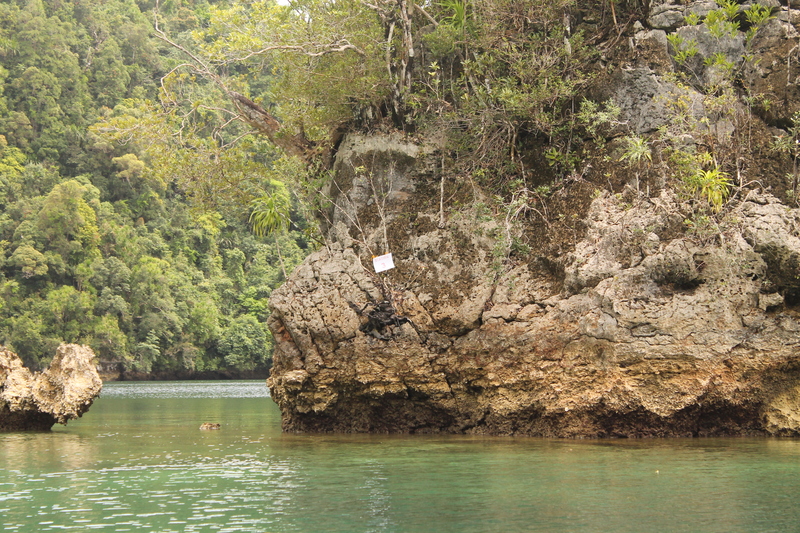 Long before Sohoton became popular to tourists, locals would come here for free. 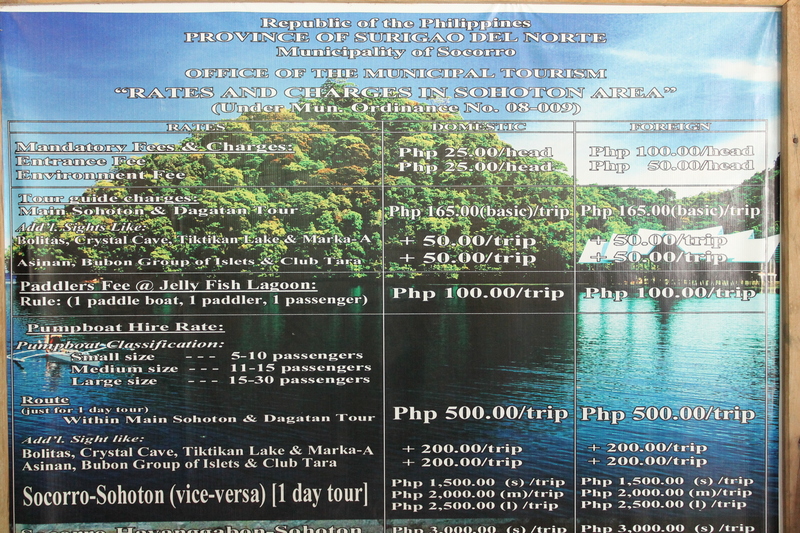 But ever since it became a tourist destination, the LGU imposed fees to boost tourism and give additional jobs to locals. 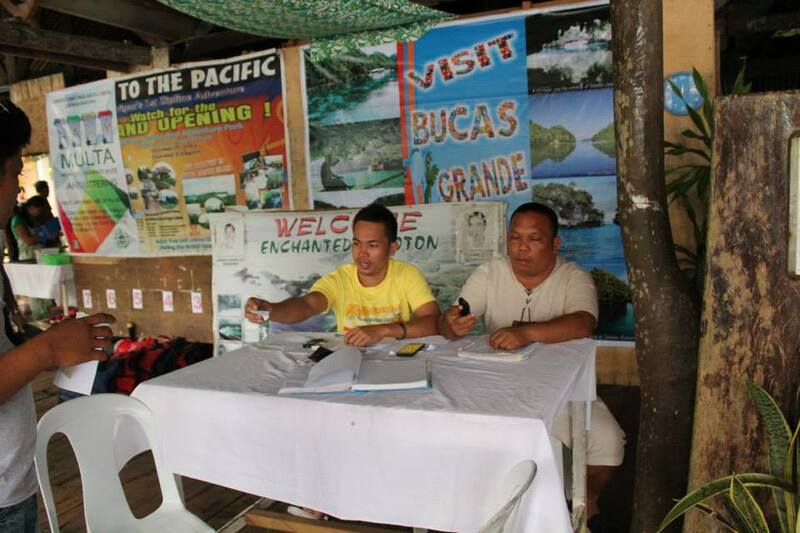 Upon entering, you will be asked to register at the tourist information center and pay fees. 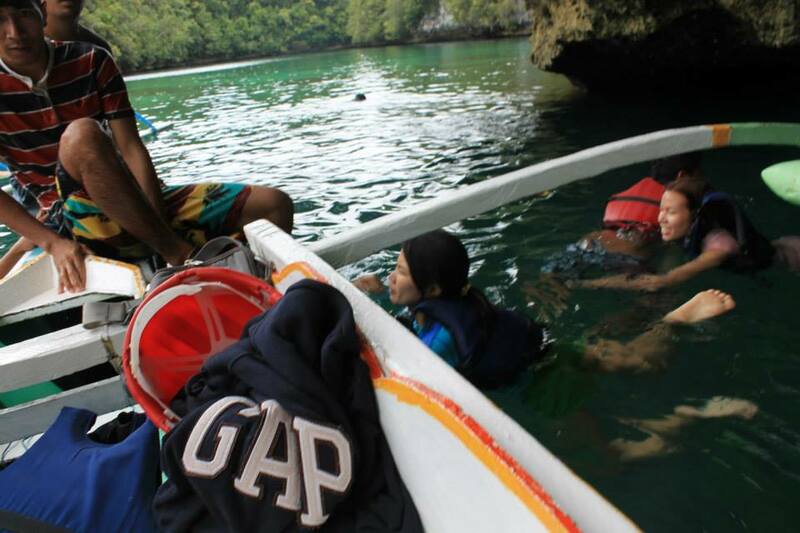 You will then be asked to transfer to another boat for the caving adventure. 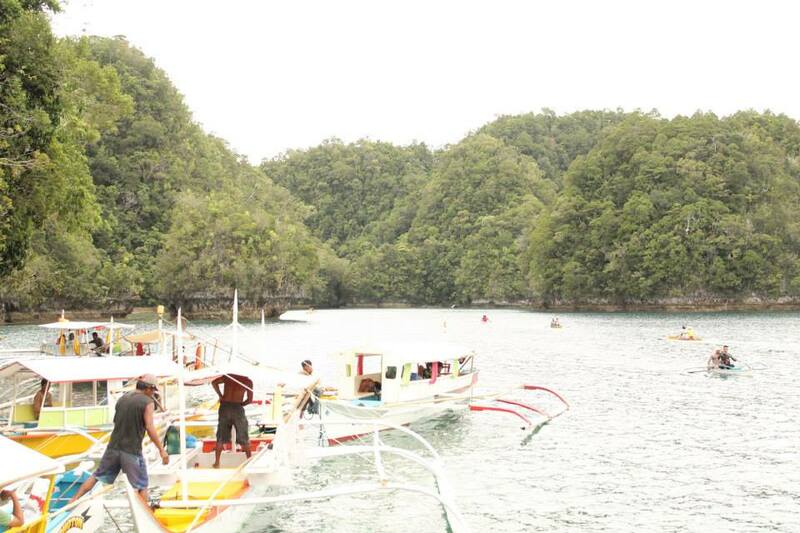 Each boat has 1 tour guide and 2 boat men. 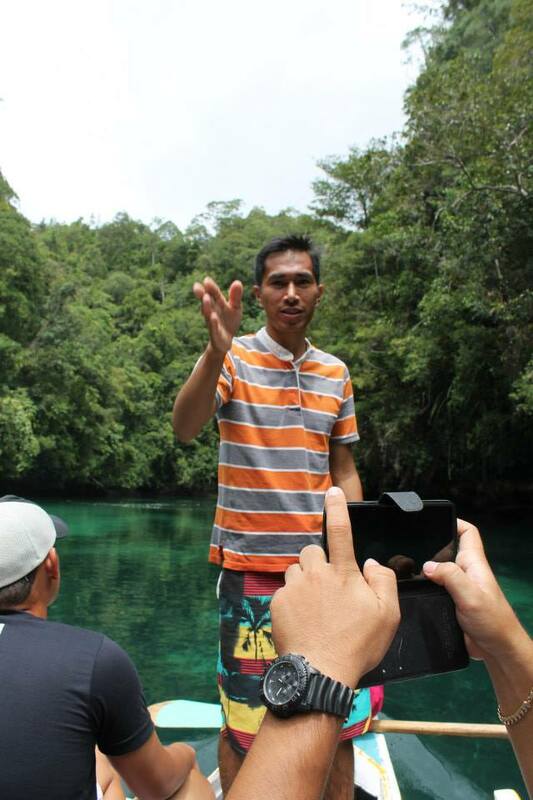 They are all locals which makes them very equipped. 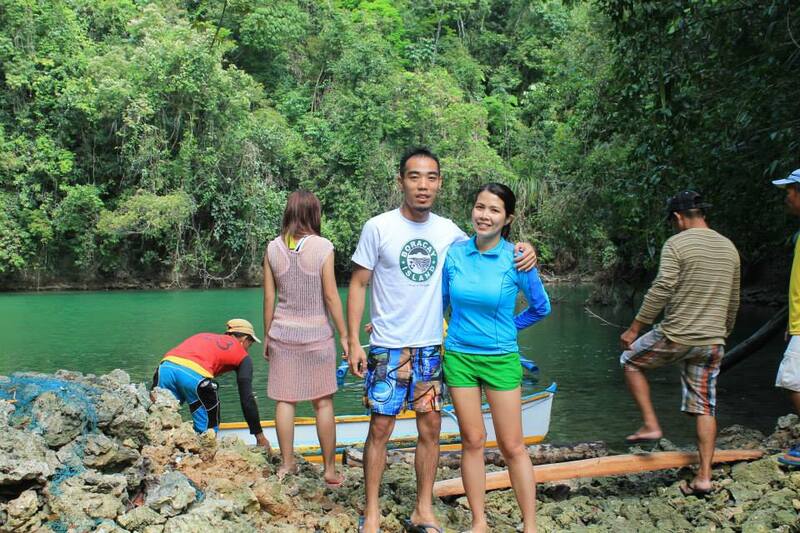 The tour guide reminds me of the funny paddlers/ boatmen in the Underground River of Palawan. 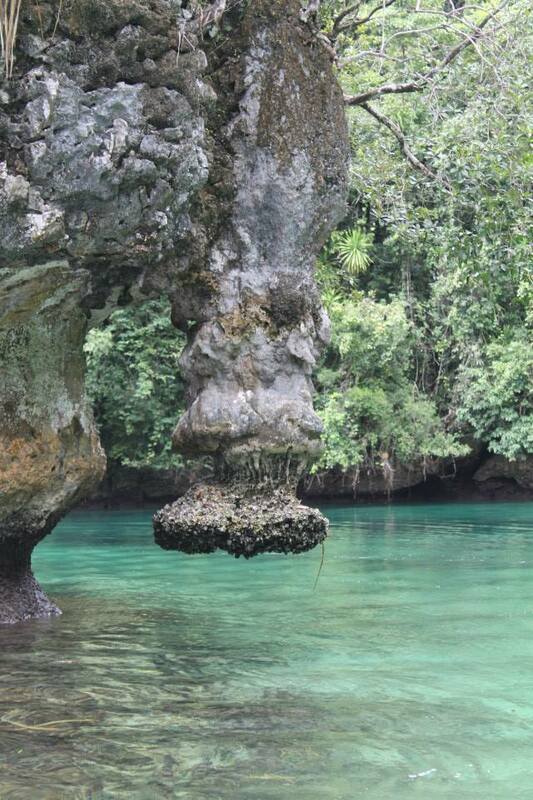 The cove has a dome- shaped entrance which would make it impossible for a boat to enter during high tide. 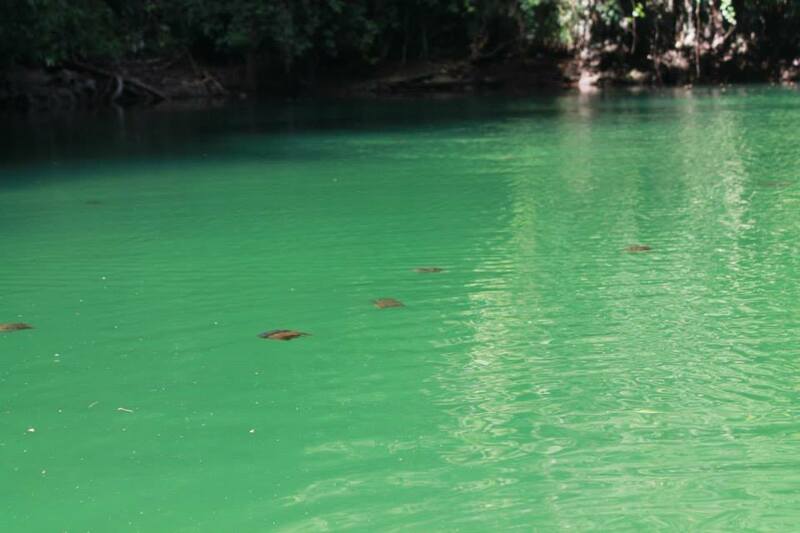 And as we enter the cove, the crystal clear water became a shade of blue and green. 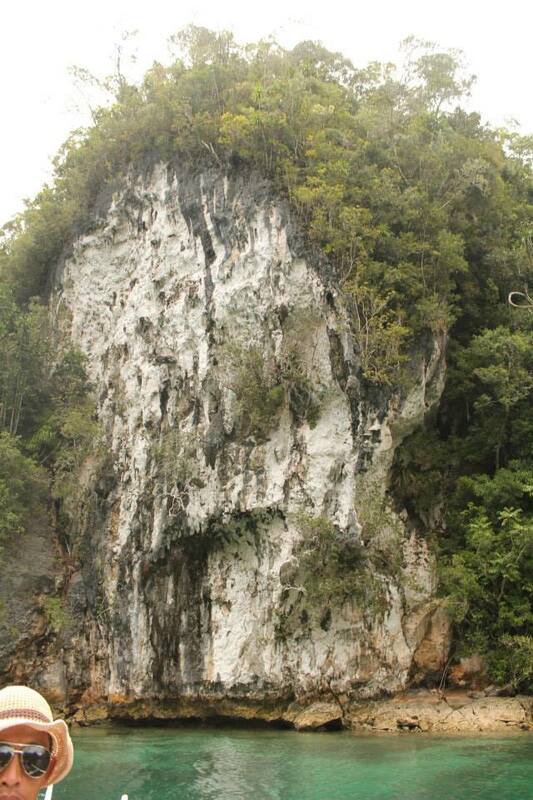 Limestine karst became a frequent and delightful site. 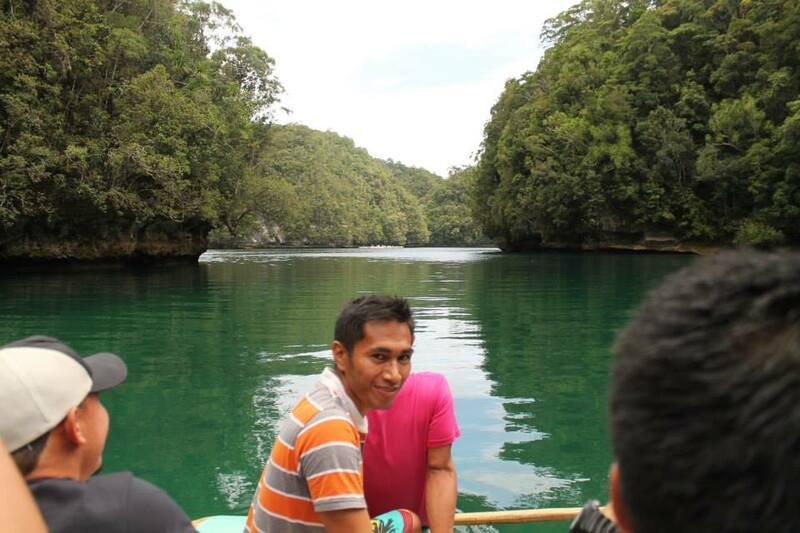 The view was just overwhelming! 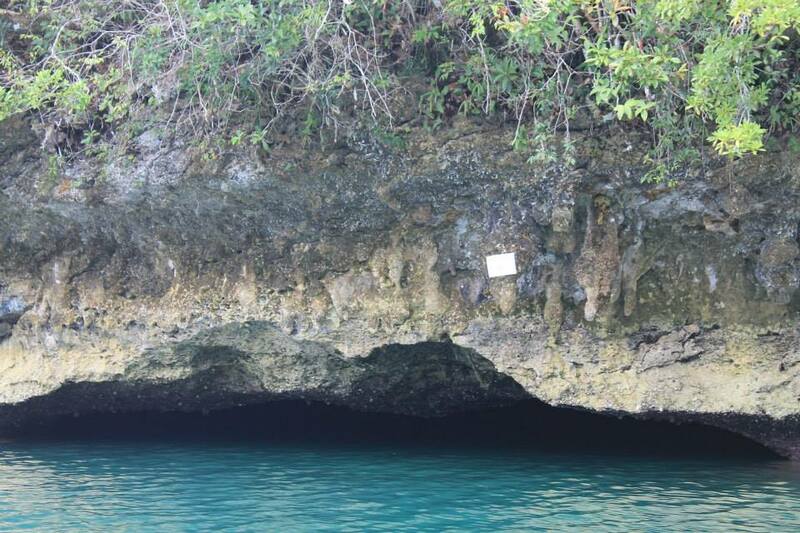 Hagukan Cave got its name from the snoring sound (‘haguk’ in Cebuano) it makes. It’s dome shaped structure produces the snoring sound. You have to swim in order to appreciate the structure. 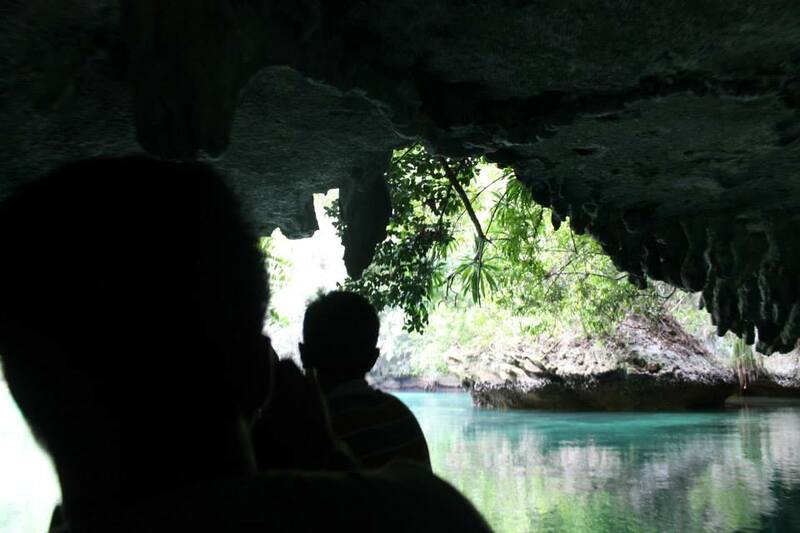 Magkukuob Cave is more of a challenge. Once you have entered the cave, there is no turning back. You have to cliff- dive in order to get your way out of there. 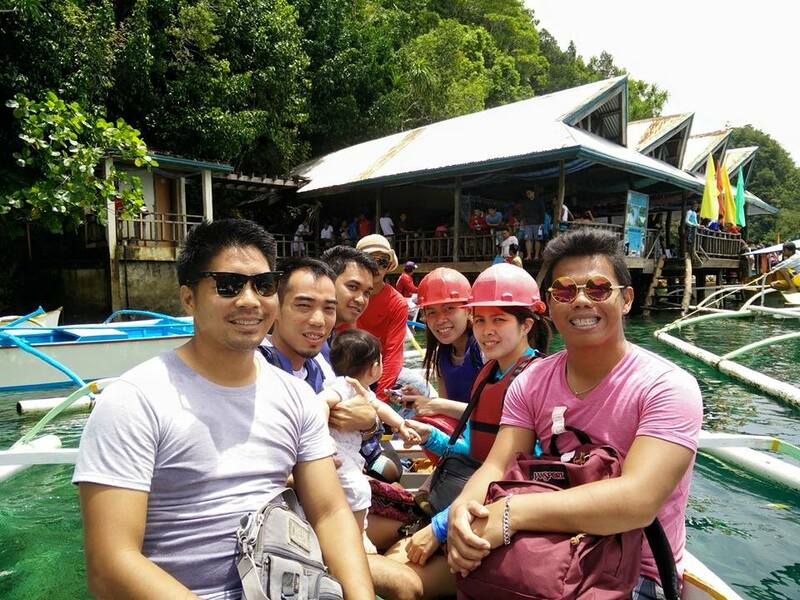 After all the caving activities, the team decided to take a break and eat lunch. 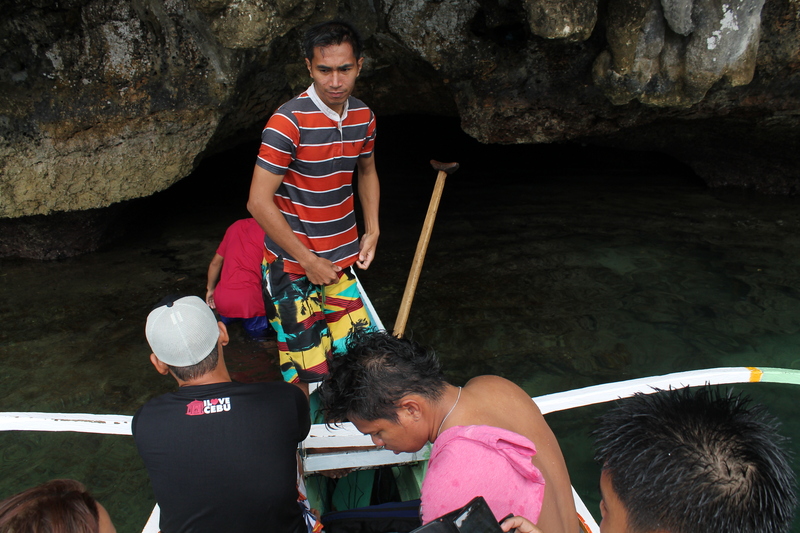 The boat men offered that we go to a secluded beach but we opted to stay nearby inside the boat. 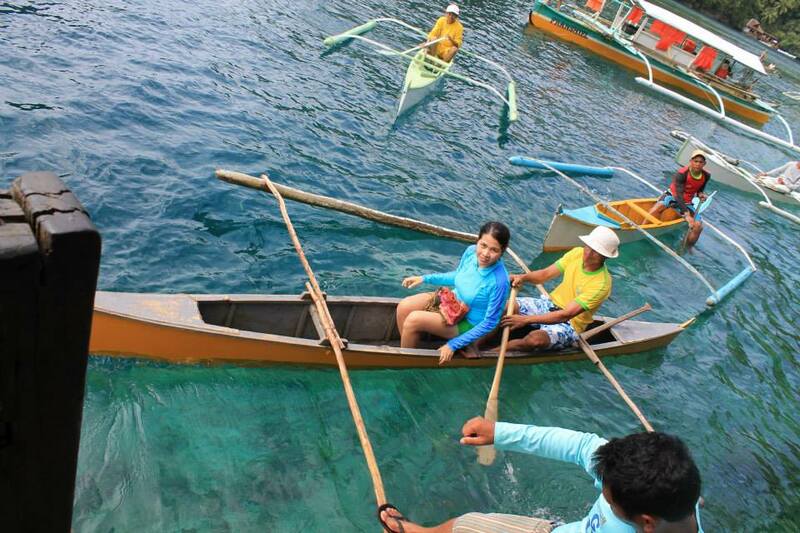 We have to transfer to a paddle boat- we had to take 1 each since the boat allows only 2 passengers. 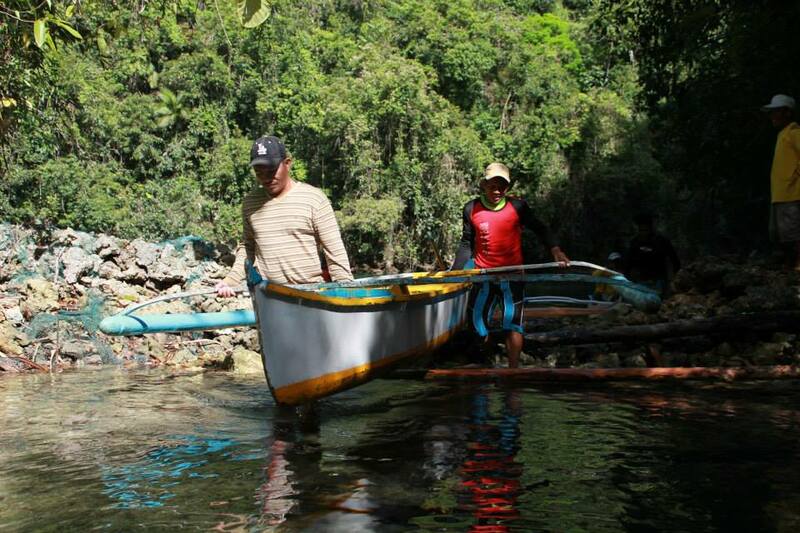 Then at the entrance of the lagoon, you have to group again into 3 including the paddler. 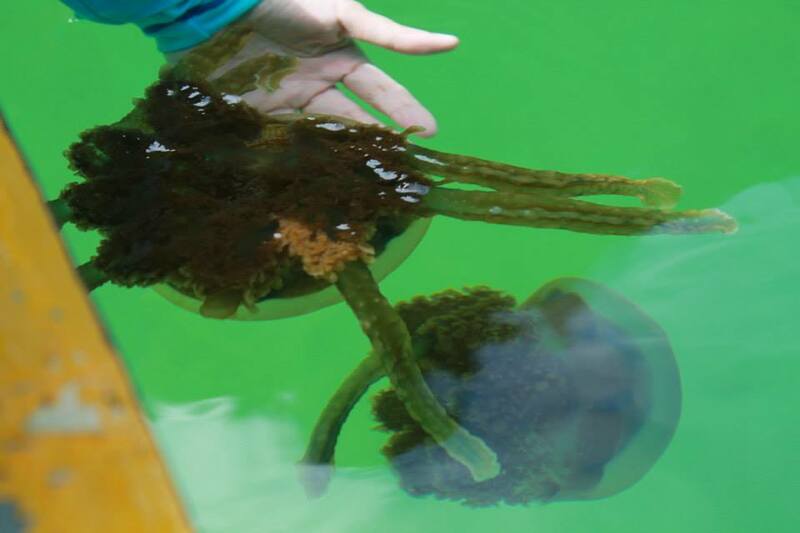 These no sting jelly fish are just starting to grow and propagate. They shall be in full bloom during the month of May and has a very short life span of three months. 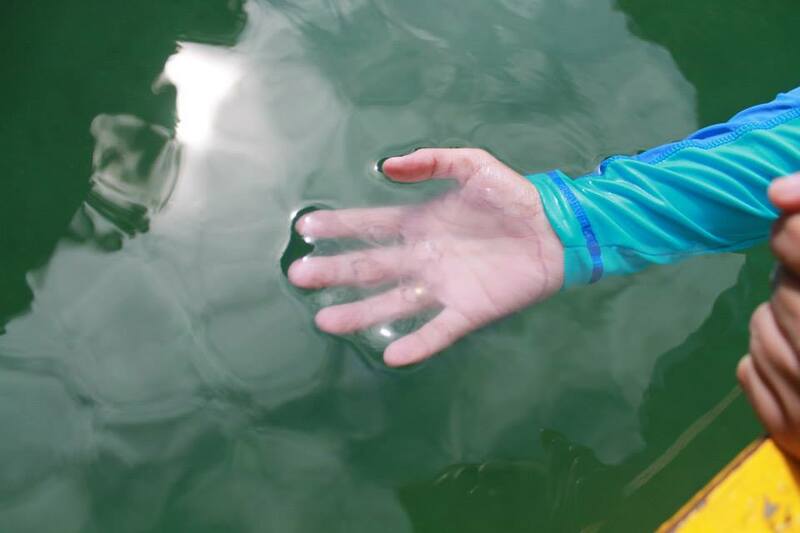 According to the paddler, the jellyfish themselves have moved to this much smaller area after a storm that hit the island a few months back. Closer look . They come in 2 varieties. If you try to pull it out of the water, you have to be careful not to pull everything out or their tentacles will be cut from their bodies. 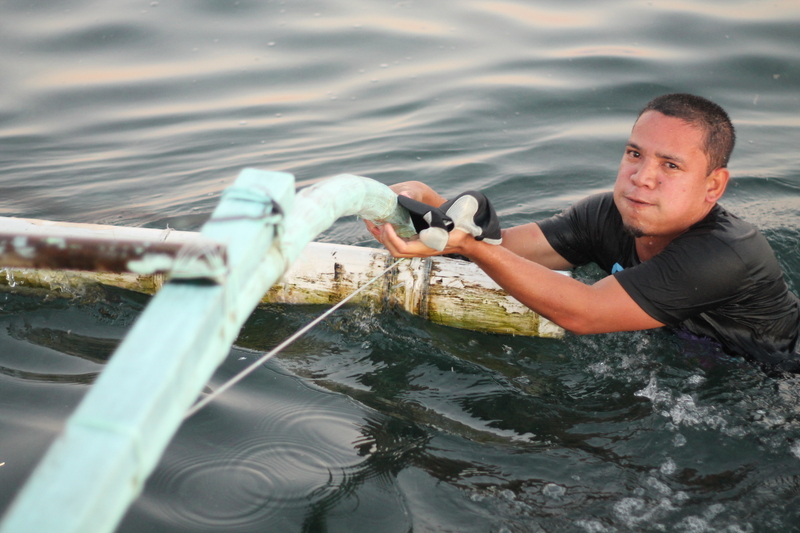 Also, they could die if you pull it out from the water longer than 5 seconds. 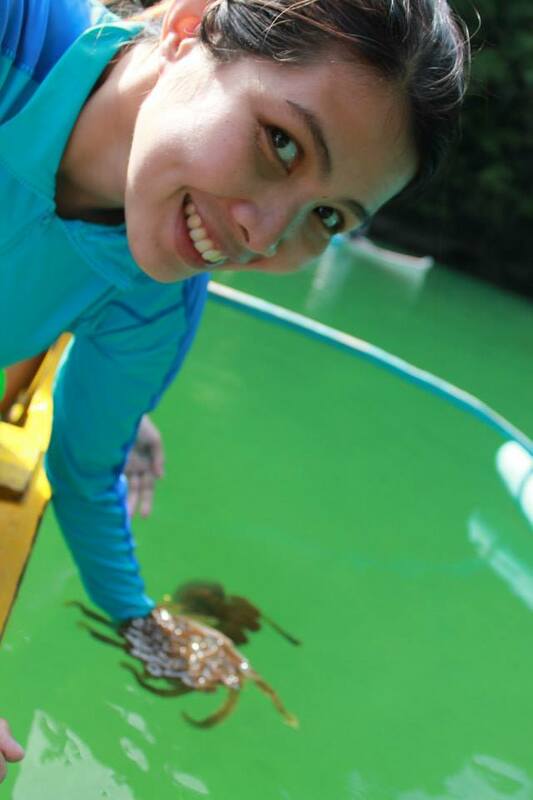 I enjoyed the interaction with the jelly fish, it was so unique and refreshing.